Glory Nix’s passions have taken her around the world, from singing on stages to making smiles in South America. But more recently they led her back home, to help the international community right in her own backyard. The only girl of her family, born between two brothers, Glory grew up with a flair for the dramatic. She loved musical theater and singing, and became classically trained in opera. But Glory also grew up with a love for diversity. In her hometown of Decatur, Georgia she attended school and church with individuals from all around the world. These separate but equal passions would lead her to pursue international studies, with a minor in musical theater—but not before spending a year studying in Berlin. 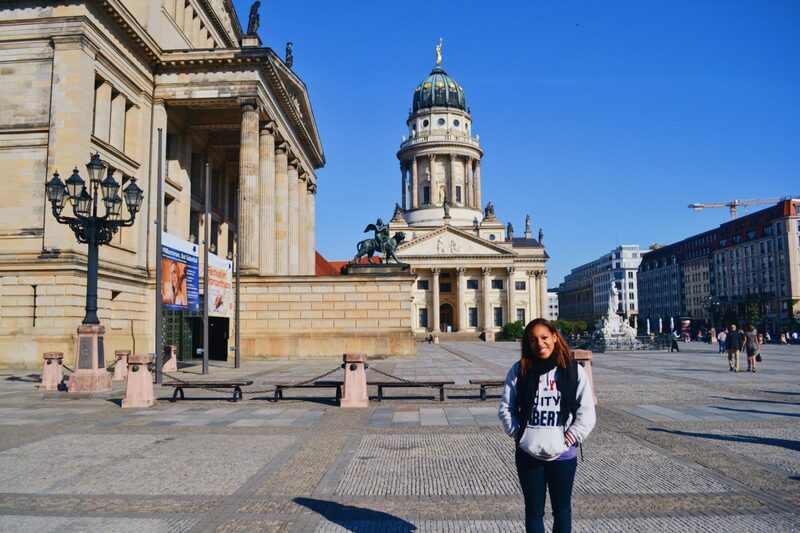 She learned German and became immersed in the culture before heading to the University of Tampa. But even the sunny beaches of Florida couldn’t keep her from returning to Europe, this time to Paris, where she took culture classes and learned her third language—French. Bright and vivacious, it was no time at all before Glory graduated with her degree. 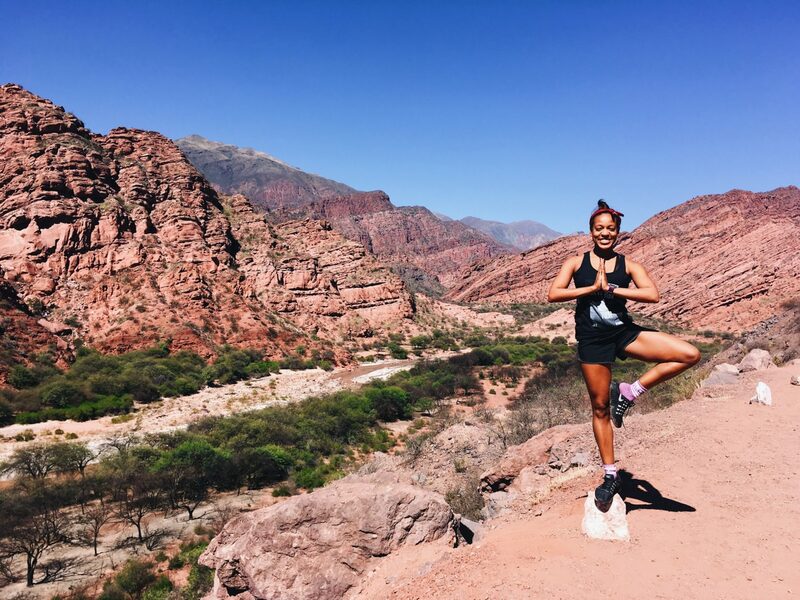 Instead of jumping immediately into a career, she headed to South America to work on her growing Spanish skills. And what better way to do that than to volunteer? 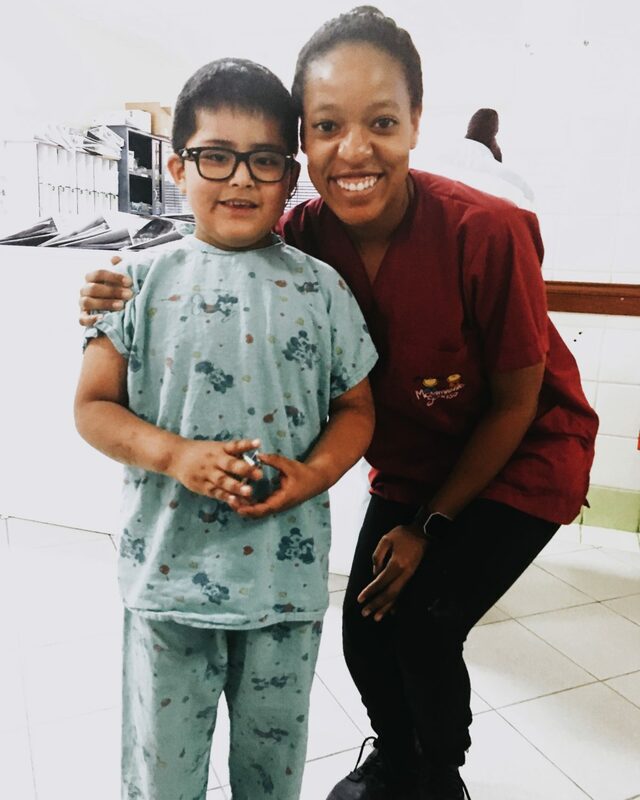 In Bolivia, she partnered with “The Smile Movement” to cheer up children undergoing treatment in local hospitals. Years later, those sweet memories linger in her mind. Continuing in that same spirit of giving back, Glory moved to D.C. to intern with local district congressman, John Lewis. Glory applied for over 50 jobs on Capitol Hill—and they all fell flat. “I still don’t know how anyone gets a job in D.C.,” she laughs about the endeavor. So instead, she put her “effervescent” (as she calls it) personality to work as a tour guide at the famous CNN Center in Atlanta. Around this time, Glory met a new friend at church, Stephen Assink. She told him about her passions. He told her about his job as local Managing Director at a refugee staffing company—Amplio Recruiting. Fortunately for her, Amplio was hiring. Her personality, care, and excellence made her just the right fit for their Client Care Manager position. Now, Glory serves at Amplio’s Atlanta office, one of four locations nationwide. Her days consist of calling and visiting clients, and even taking potential employees for interviews—anything and everything to create a positive, seamless experience for companies. She has even been able to put her linguistic skills to work. Nothing delights Glory and the Amplio team more than connecting great companies with the refugee workforce. We believe the refugee workforce is America’s number one best-kept secret to fill labor shortages and expand the economy. Refugees are motivated, dependable, and legal to work from the moment they step foot on U.S. soil. Visit us online to learn more about why refugees make great employees, or contact us today for a quote.